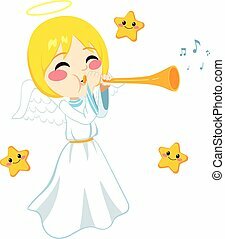 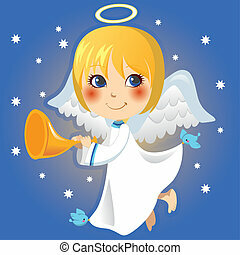 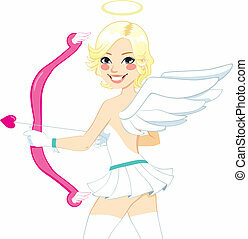 Cute blonde angel cupid. 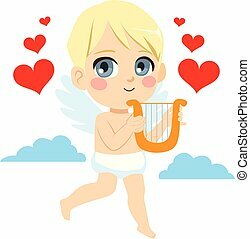 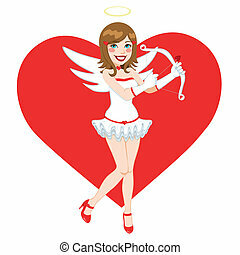 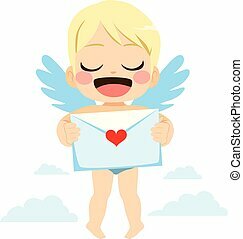 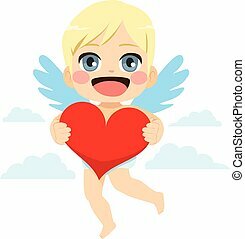 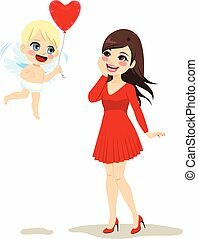 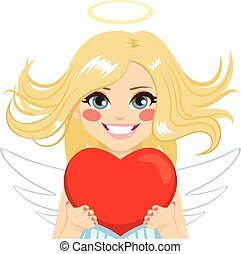 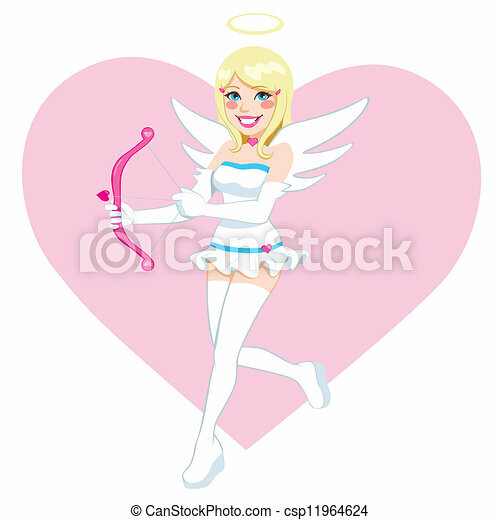 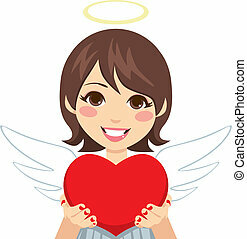 Cute blonde angel cupid girl holding bow and love arrow. 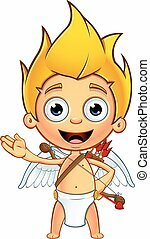 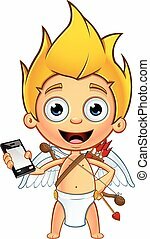 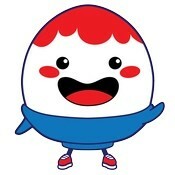 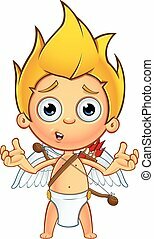 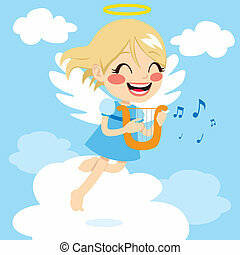 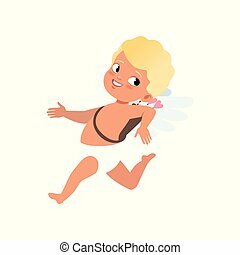 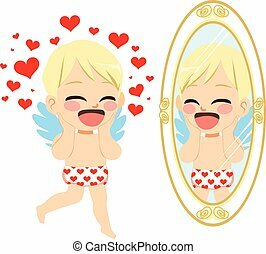 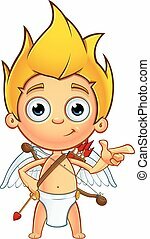 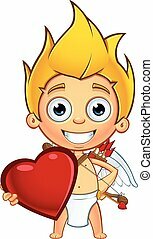 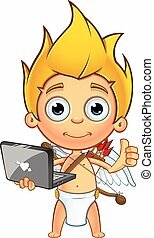 A cartoon illustration of a little cupid character with blonde hair. 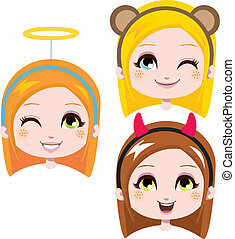 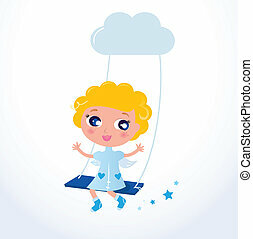 Blond Angel sitting in the sky - Vector Illustration. 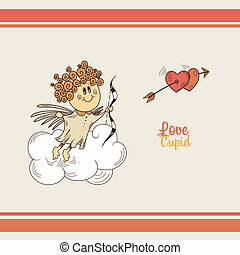 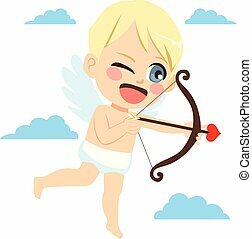 Cupid flying and shooting arrows of love with his bow in Valentines day.